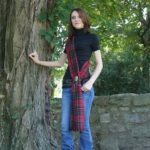 Our Woolen Women’s Tartan Sash is made of the finest wool woven in Scotland. 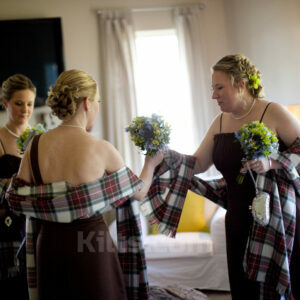 Our Ladies tartan sash measures 80″ long by 11″ wide. The sash comes with fringed edges for added style, as well as hemmed sides. The fringes are approximately 1.5″ in length. Every woolen women’s tartan sash will be sewn with a splice, which is neatly camouflaged in the tartan. It will take 2-4 weeks to ship this tartan sash, since each is made to order in Scotland.